Here at Silver Softworks, we don’t like goodbyes. Just because the project is over, it doesn’t mean our relationship has to be. Not only do our support packages offer you peace of mind if things ever do go wrong, they also foster a closer, more collaborative relationship between us and our customers. Most of our customers have a wish list of features which are yet to make it into production. These items are great candidates for our continuous improvement programme. Contact our team to find out how we can help. Bugs, Glitches, Errors, Mistakes, Gremlins….whatever they are, we can help. Our enviable knowledge and experience means that we have seen most issues that Salesforce can throw at us. Our team are on standby to help. Training for the long term means you will realise your investment in Salesforce straight away. It may be one to one, train the trainer, web based, classroom based or just on the phone, our team can help. Call today. Don’t have your own Salesforce Administrator? We can help with the day to day chores of those selfless, unsung heroes! Talk to our team about our Managed Support Offerings. Salesforce is your No.1 place for data, let our team help you bring it all together so you can maximise the value of your Salesforce. Talk to our team today about our Data Management packages. We have Salesforce, now what? We love being able to knowledge transfer our long experience of the Salesforce Platform to you. Use us strategically or tactically to make sure you maximise the value of Salesforce. So if you are looking for a small on-demand hours based support contract or a full manged service offering we can help. Time based Contract: This is a simple contract where you use our time on demand. You call, email or message our support desk and we will firstly assess how long it may take and after authorisation from you we start work. If its a quick fix, we should be able to do it straight away, if its a bit bigger we may need to schedule it in to make sure we assign the right skill set to the problem. Managed Service: This is a monthly contract with Silver Softworks Support. We take on the role of System administrator, assign a named resource to you and manage every aspect of your solution. We will be pro-active in looking for issues before they arise, be your 1st to 3rd line support for users, set security protocols, on-board new users and off board old ones. 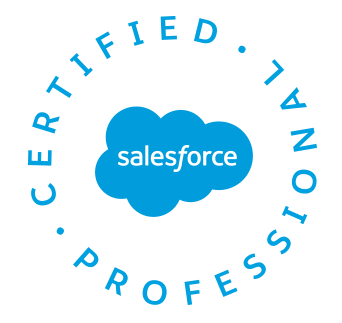 We always make sure that our managed Support engagements are tailored to you and your needs and work closely with you to make sure you get the most value from your Salesforce. Fill in this form opposite and we will call you straight back to discuss your requirements.